Even if the Tweet had been from the separatist leader, however, it would only prove that the separatists had made a tragic mistake. Any pilot or aviation authority flying over this area of Ukraine would indeed have to be acting in a provocative manner, terribly lost, or clinically insane. Perhaps the most important question to ask in regards to the Malaysian flight situation, however, isCui Bono? Who Benefits? 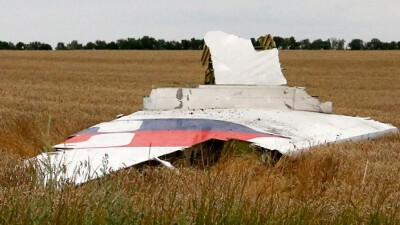 The remote possibility that separatists obtained a sophisticated Buk anti-air missile system, was able to maintain and operate it, failed to identify the Malaysian 777, and exercised the poor judgment to fire on it – would make the tragedy a catastrophic case of mistaken identity – for the separatists have no conceivable reason to fire on a Malaysian passenger liner – and absolutely nothing to gain by doing so. However, for the regime in Kiev facing decimated and unraveling military forces in the east, growing dissent in the west, and Western sponsors who are unable to materialize any form of meaningful aid militarily, economically, or politically – shooting down a civilian airliner and blaming it on the separatists could unite public opinion and the leadership of European nations behind NATO and the US for a more direct intervention on behalf of Kiev and change the tide of what is now a battle they will otherwise inevitably lose. “That would be very damaging both for them and for their Russian supporters,” he said. Only the West and their proxies in Kiev would stand to benefit from this – and commentators like Tony Brenton and the BBC intentionally prey on the ignorance of their audience in hopes that they don’t know the difference between the Igla systems separatists most likely have, and the Buk system they most likely don’t have or are unable to operate.